Are you ready for homeownership? Is purchasing a home on your list of goals? If so, assess how close you are to making your real estate dreams come true. This basic, Yes/No quiz will tell you if you’re ready for homeownership. 1. 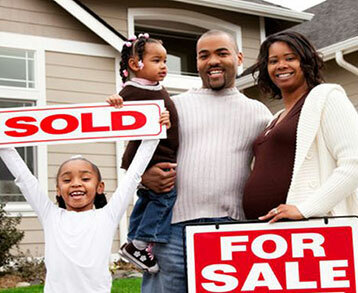 Are you familiar with the housing market in your preferred neighbourhood? Start perusing the real estate pages and Realtor.ca well in advance of your house-hunt, so you know what properties sell for. There’s nothing worse than meeting an agent, only to discover the average price of homes in your preferred community is double what you were hoping. 2. Do you know how much you can afford to spend on your first home? You want to start your home search pre-approved for a mortgage. Find out ahead of time how much that mortgage will most likely be by using Genworth Canada’s How Much Can I Afford calculator which factors your income, debt and other expenses into mortgage and monthly payment amounts. 3. Have you saved at least a 5% down payment towards your first home? The good news is you don’t need a sizable down payment to buy your first home. Conventional mortgages require a down payment of 20% of the purchase price, but mortgage insurance, you can buy with as little as 5% down. 4. Do you have regular income, whether you are salaried or self-employed? Conventional lenders favour borrowers with salaried income, but we recognize many Canadians are self-employed. We have many lenders that are geared towards self-employed borrowers. If you’ve got a two-year history of managing your credit and finances responsibly, you can qualify without traditional income verification. 5. Have you got a handle on your consumer debt? If you’re carrying a high debt load, it could hinder your ability to meet your financial obligations as a homeowner. Your monthly debt repayments (housing, car, credit cards, lines of credit etc…) should not exceed 40% of your household’s gross monthly income. If you’re carrying more than that, be aggressive about paying it down so you’re set up for success when you do buy your first home. 6. Do you have credit history? Lenders look at your credit history to determine if you’re a reliable borrower. Refraining from credit cards altogether is counter-productive. If you’re hoping to buy your first home this year, establish good credit history by acquiring a standard credit card. Use it for small purchases and pay off the full balance each month. 7. Do you have a healthy credit score? Poor credit history makes it harder to get mortgage approval. Always meet your monthly minimum payments on time, but don’t stop there. Be aggressive about clearing your credit card debt, or at least bringing each credit card balance to under 35% of its credit limit. If you’re recovering from bankruptcy, apply for a secured card to help re-establish a pattern of responsible borrowing. If you answered YES to 4 or more, you’re probably ready to start your home search! If you scored under 4, you may need a bit more time to prepare yourself for homeownership. previous post: Rent or Buy, Which is Right for You?